Pattern condition: Uncut, factory folded, complete with instructions. 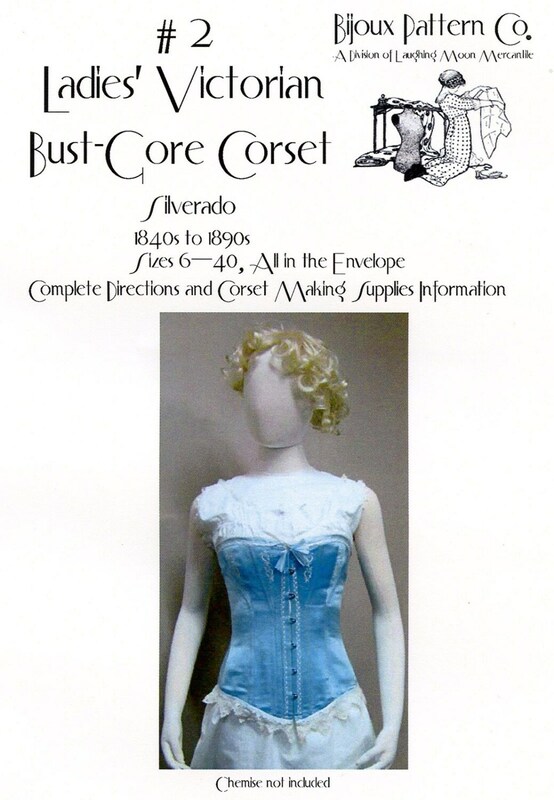 Ladies’ Victorian Corset—1840s to 1890s: One corset with 6 shaped pieces on each side, with gussets. 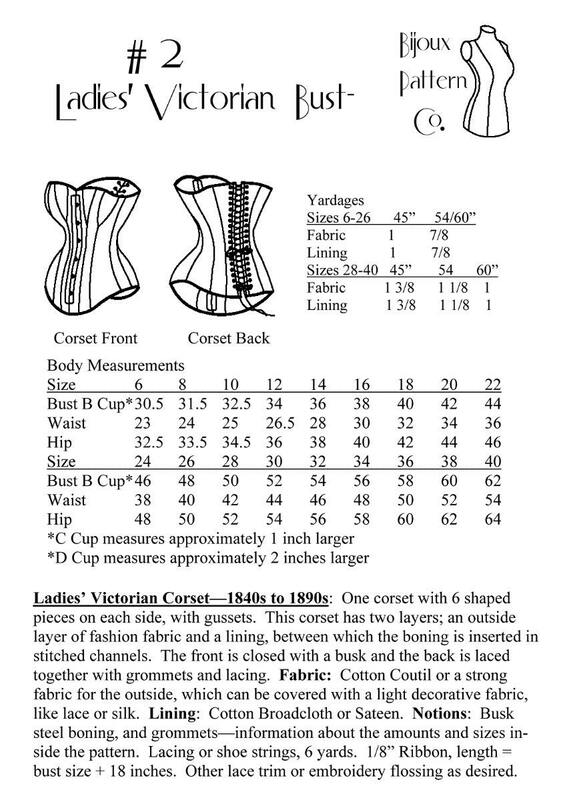 This corset has two layers; an outside layer of fashion fabric and a lining, between which the boning is inserted in stitched channels. The front is closed with a busk and the back is laced together with grommets and lacing. Fabric: Cotton Coutil or a strong fabric for the outside, which can be covered with a light decorative fabric, like lace or silk. Lining: Cotton Broadcloth or Sateen. Notions: Busk steel boning, and grommets—information about the amounts and sizes inside the pattern. Lacing or shoe strings, 6 yards. 1/8” Ribbon, length = bust size + 18 inches. Other lace trim or embroidery flossing as desired. I accept payments through the site's direct checkout and PayPal. Packages are shipped through USPS within one business day of receiving your cleared payment. Customer satisfaction is a top priority. If there are any problems with your purchase, please let me know within 7 days of receiving your item and I will do my best to help. Returned sewing patterns must be in original uncut and factory folded condition. Jalie and other patterns sealed in plastic must be UNOPENED. Please include a copy of your receipt and cardboard backing to prevent damage in the mail. Returns must be made within 14 days for a refund. Sorry, but I can not refund original or return postage. To International buyers: Import duties, taxes and charges are not included in the item price or shipping cost. These charges are the buyer's responsibility. Please check with your country's customs office to determine what these additional costs will be prior to bidding or buying. I do not ship to Russia.